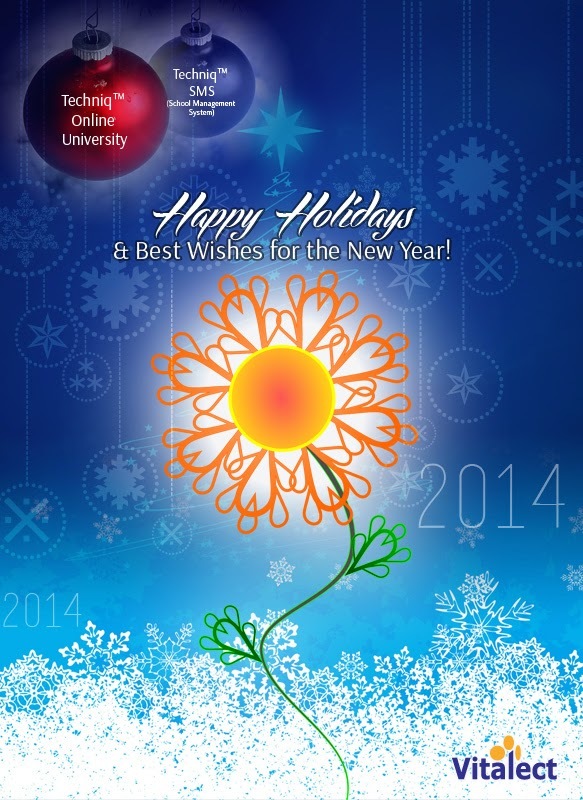 Best wishes for a wonderful 2014 to on and all! A recent article in the NY Times on online education expressed concerns over the idea of education going online. The article went on to suggest that low performing students actually found it harder to perform when classes went online (with facts based on a 5 year study over a range of 50,000 students). These students reportedly lacked confidence in the absence of their teachers and hence were struggling to put up a fight. The first thought that came to my mind when I read that was isn't it always hard before it becomes easy, no matter what it might be? But then the same piece also stated on a positive note that students in hybrid classes - those that blended online instruction with a face-to-face component — performed as well academically as those in traditional classes. As a fan of online learning I must admit I was relieved! So is it truly the future? I would say yes it is. But online education is something that is likely to evolve under the shadow of conventional learning before it can stand up on its own. After all it doesn't always mean that someone who knows how to use a computer would necessarily love the idea of online education automatically. Students will have to get accustomed to the process of learning online content. It should not be much of a problem since they spend a majority of their time online these days. (But when you ask them to do something useful like learning a lesson online, they might push back and not take to it so easily! “Ok, so you want to start using my iPad to take lessons and do homework?”) On the other hand, it might take some effort convincing parents, most of whom are naturally inclined to assume that their kids are “goofing off” when they are in front of their computers or using their handheld gadgets. They will have to come to terms with the fact that the future of learning is going to involve a significant amount of online learning. Likewise, Instructors/ teachers have to understand that online learning could eventually minimize their own workload though in the short term it might appear to be overwhelming. So its best if the adapt to and acknowledge the new system with an open mind. Having trouble publishing your course to your LMS? Many beginners, especially the not so technical ones, seem to struggle initially in publishing the course material successfully onto an LMS. All that hard work of collecting those PowerPoints, documents, videos and test materials in order to create the perfect course for your customers washed away in an instant when the LMS fails to read your course or the quiz not reporting as you had wanted it to. You probably knew beforehand that you had to publish the course from your course development tool as a SCORM output but you did not see an option anywhere and you were too quick to publish the course. There begins the saga of endless email communications with the support staff. It will settle down ultimately and you will learn the process eventually but the question us: Was that all necessary? That is the question we are trying to address here. After all publishing your course to any LMS that supports SCORM/AICC (or any similar standards) should not be that difficult? does not matter here as long as it meets the above mentioned standards. The publish settings in the course creation tool will most certainly have an option to publish to an LMS and so identifying those screens or switches in the tool is the key. The quick publish options in some tools might take you through a different route. Avoid those and make sure you publish to an LMS. A zip file might be the most suitable output format for an LMS.